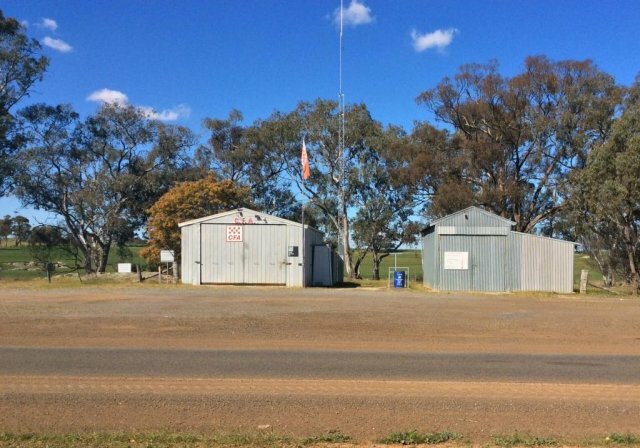 Nearby towns and districts are: Inglewood, Bridgewater on Loddon, Wedderburn, St Arnaud, Dunolly, Kingower, McIntyre, Wehla, Newbridge, Tarnagulla, Moliagul. 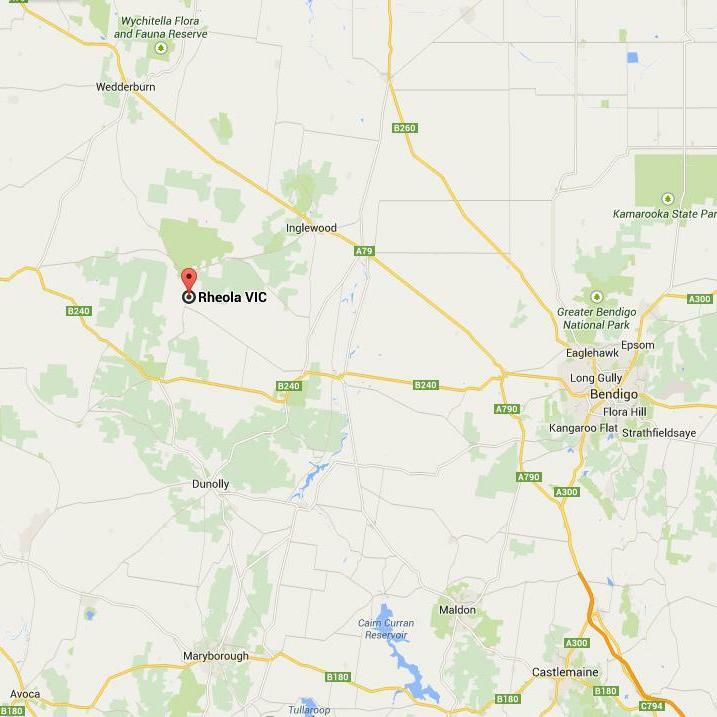 Located at the intersection of the Dunolly-Wedderburn Road and the Inglewood-Rheola Road. Rheola is small district in county Victoria, located about 50 minutes west of Bendigo. The name Rheola was given in 1876 however it became a formally town/district 8 years earlier, in 1868, when it was given the name Berlin (Ber-lyn or Bervie or Berlin Rush or Berlin Feilds). Of course the area had existed before then with a stopping point for the Cobb and Co coaches at Tylers Halfway House and before that Jaara Jaara Aboriginal people. Alexander Clelland supplied the origional name when he found gold in 1868 (more info in our Gold Nuggets section of the webstie). Population:141 according to the 2006 Census. 2011 Census list 315 people living in the Rheola area. (Area of Rheola in 2011 census, 257 sq kms). Find the 2011 Census data here. Agriculture is the main employment in the district including Grains, Sheep and Beef Cattle. The land is undulating with granite outcrops and the local Box-Ironbark forests are home to a diverse array of plants and animals. The Charity Carnival has been going since 1871 and is held every Easter Monday at the Community Hall and Recreation Reserve.